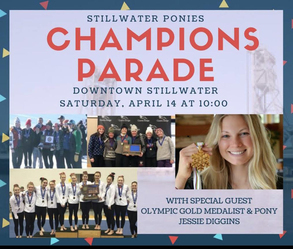 The City of Stillwater is hosting a parade (rain, shine or snow!) at 10 a.m. on Saturday, April 14 to honor our state champion Girls Nordic Ski Team, Girls Alpine Ski Team and Gymnastics Team. Pony alumni and Olympic gold medalist Jessie Diggins is also a special guest. The parade will start at the future Stillwater Zephyr Theatre parking lot at the north end of town and follow Main Street to Nelson Street and double back on Water Street. The celebration will end with a ceremony at the Lowell Park amphitheater. Making school leaders a little uncomfortable was what the challenge was designed to do. Principals and directors from across the district took part in order to identify meaningful opportunities to improve the school experience and create positive change. Read the full article and watch the short video. In light of recent events around the nation and smaller incidents right here in our own community, there is understandably a lot of fear and concern around school safety. As staff who work in these buildings everyday and send our own children to our schools, we feel those concerns as well. Keeping our schools safe is everyone’s responsibility. If you see something, say something. If you believe someone is troubled or acting in a way that seems unsafe or unhealthy, report it immediately. If you overhear something, notice strange behaviors, or see a concerning post on social media - please tell a staff member immediately. You can also report it online by clicking the See Something, Say Something button on any school or district website. The deadline for purchasing tickets for the Partnership Party is noon on Wednesday, April 18. You won’t want to miss this annual gala that raises funds to support students and teachers in all Stillwater schools. This event on April 20 will feature special and one-of-a-kind items only available at the JX Event Venue that night. For instance, reserved front-row tickets to music concerts for the entire year. A parking spot next to the front door of the high school 24/7 for the 2018-19 school year. A behind-the-scenes tour of the U of MN Raptor Center AND the peregrine falcon breeding center at Stillwater Area High School. PLUS naming rights for this year's crop of chicks at the school. A day on the river with log-rolling lessons from a former World Champion log-roller and teacher at Lake Elmo Elementary School. A Shrimp Boil put on by the two middle school principals. Tickets and more information about the Party and auction items are available online. Annual costs like salaries and benefits, utilities, classroom materials and supplies, and day-to-day expenses continue to rise. Meanwhile, state funding is not keeping pace. The average state funding increase over the past 15 years is just 1.5 percent. That's less than the national average rate of inflation. By the start of next year, projections show the district will be spending about $2.4 million more than it will bring in as revenue. Read more. Watch for a series of finance discussions (see meeting notices below) to take place with the school board in the coming months to discuss these issues and consider possible solutions. The school board will hold work sessions on the following dates and times for the purpose of discussing the district’s finances. All of the meetings will be held at Central Services in Stillwater. View the official notices online. 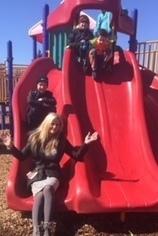 Wednesday, April 18 from 6 to 7:30 p.m.
Thursday, May 3 from 6 to 7:30 p.m.
Tuesday, May 29 from 6 to 7:30 p.m.
Thursday, June 7 from 4 to 5:30 p.m.